This topic contains 0 replies, has 1 voice, and was last updated by Coach Collins 2 months, 2 weeks ago. Note that these rules are in addition to the terms of service, privacy and membership agreement you agreed to upon registering. Final say and interpretation of these rules for specific instances rests with teachhoops.com. The welcome activity will help you get to know your classmates and help create a positive educational environment. 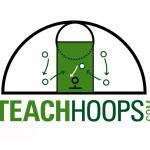 Use the off-topic forums to talk with other coaches. If you find something confusing or want to know more, do not hesitate to ask questions. Make sure to post your questions in the appropriate thread. 4.DO NOT DOMINATE A DISCUSSION. Share your knowledge, but not to the point of excluding others. If you have something to offer, please share it, but allow everyone to contribute equally to a discussion. Do not excuse sloppy or illogical thinking. Challenge yourself and one another. 6. BE TACTFUL AND KIND. 7. READ THE WHOLE THREAD BEFORE POSTING. Read all the posts in a thread before responding so you don’t repeat what others have already said. Try to contribute clarifying information or a new idea to a discussion. Do not waste people’s time by posting basic, repetitive information. Make your point clearly and quickly. 9. REREAD AND CHECK YOUR POSTS. Practice professionalism. Be mindful of how you look online; others will likely judge the tone and quality of your writing. Reread your posts and edit for clarity and mechanics. If the platform is not working properly, please let me know as soon as possible. Don’t post trolls/ads/spam/get-rich-quick schemes/other junk. Respect others’ privacy and belongings.